I'd like to think I may have taught Martin some great Swiss cycling routes and also introduced him to the challenges of cycling uphill. But there is no doubt that he has taught me the most important aspect to my cycling routine: The post ride meal / beer session. It’s been almost a year since Martin saw my blog, sent me an email, and we started riding together. 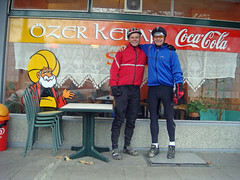 Since then we have become great friends and shared many cycling adventures. 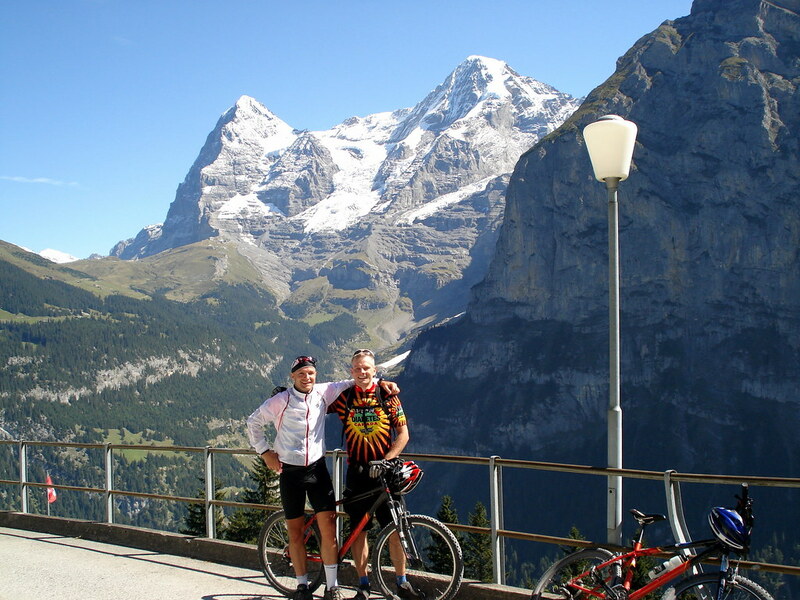 I’d like to think I may have taught Martin some great Swiss cycling routes and also introduced him to the challenges of cycling uphill. But there is no doubt that he has taught me the most important aspect to my cycling routine: The post ride meal / beers session. . While we occasionally do Pizza in a little Swiss village, we have now settled on our favorite: A Turkish Kebap and Turkish beers. We are such regulars that on entrance we are warmly greeted, beers are fetched from the fridge, the chef verifies that I still don’t want onions, and seconds later hot food is in front of us. Don’t minimize the importance of a post ride feast. We do endless future route planning – becoming more inspired after each beer. 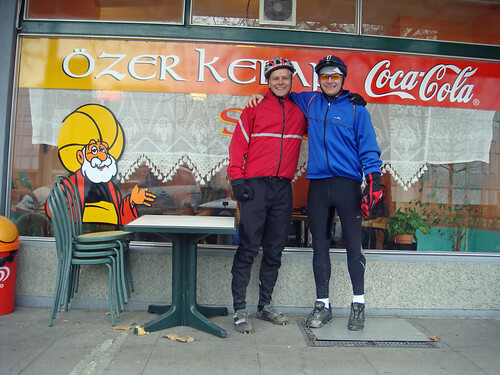 And please, no comments about wrecking my new diet – we had just completed a great 2+ hour trail ride on a cold (exactly freezing) slightly windy day – but yeah those kebaps aren’t exactly salad. Great fun. While we planned our epic July 2008 tour along the Route des Grandes Alpes, I looked out the window and a dog was busy peeing on my bike! Below: Martin and I on a warmer day. Yes, a fun day in the cool crisp mountain air today. 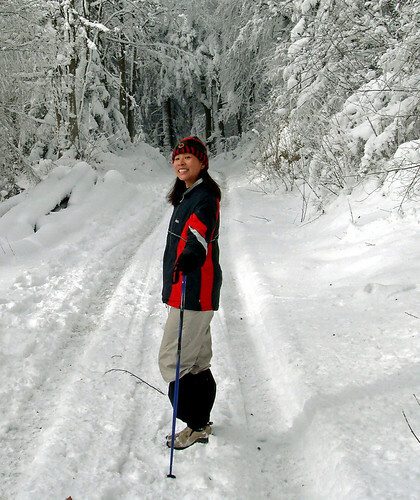 I certainly have come to appreciate going uphill and have really enjoyed our alpine adventures this past year. Looking forward to more fun and adventures with you in 2008, thanks Will! Did you notice how I am cleverly taller than you in the top photo? I love that you added the evidence photo of the dog pee on your bike… nice! There’s nothing like the comfort of being a regular… sounds like you’re treated like an old friend at your local Turkish establishment. Now I’m hungry!